Right off the bat I have to say this is my favourite ICO of 2018. Quantstamp is my pick of 2017. I’m not going to do an exhaustive review of Beetoken as I can point you to some which I have found extremely usefull. In a short paragraph Beetoken is the democratization of the short term rentals housing industry. I have to say I have not personally used Airbnb before but have had many friends and family who does regularly. For far too long the monopoly of the space has been dictated by Airbnb and Homeaway. I have never found any of these companies appealing. Most companies in the home rentals space like Airbnb and VRBO(Homeaway) can charge whatever fees they like (typically up to 20%). Also what annoys me the most is that the shareholders of Airbnb and Homeaway is basically lining their pockets with your hard earned money. As we’ve mentioned before it’s a 0% commissions decentralization of home rental. In short it consists of three parts. Other than the obvious you will have more money in your pocket argument. Firstly they have a team packed with all stars. They have a team of engineering and product veterans from Google, Facebook and Uber. This is also the first team I’ve known that packs a team of very technical engineers with real blockchain experience and advisors from quantstamp and enigma. The team will also be able to fully concentrate on the mainnet launch and the bee protocol as they have leveraged partnerships like request network(paypal), rentivo(web), connext(visa/mastercard) and origin(transaction). Ok for you shouting hey Airbnb in the crypto space kinda exists like CryptoBnB and lockchain. Well these projects are miles from what Beetoken is trying to do. Firstly they have a reputation, payment and arbitration protocol for if something goes wrong. Secondly they also allow dApps for third parties on the platform. Lastly if you’ve played Crypto Kitties recently and experienced a transaction lag. They are also providing sidechain solutions for when the Eth blockchain is clogged. 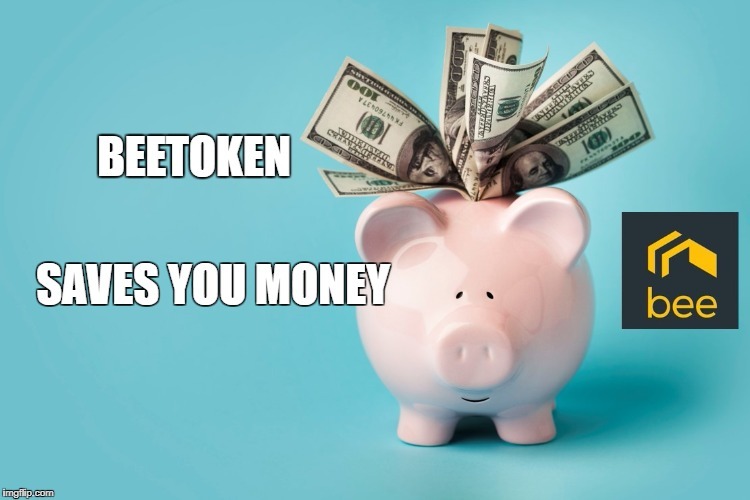 Althought it directly competes with giants like Airbnb and Homeaway the 0% commission marketing will allow a shift from these established firms to try out Beetoken. This project also enjoys a first mover advantage to provide decentralized home-sharing solutions with its Bee arbitration, payment and reputation protocol. I’m so excited for this project and cannot wait for this platform to go live and will finally give vacation home rentals a go.